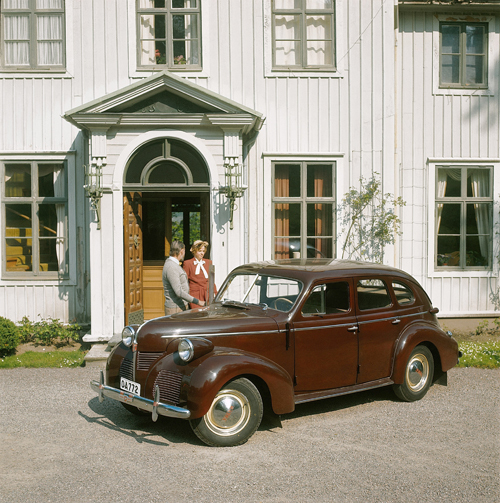 1973 – Volvo PV60 (1947), north of Göteborg at Ellesbo Herrgård in Rödbo in Göteborgs kommun. 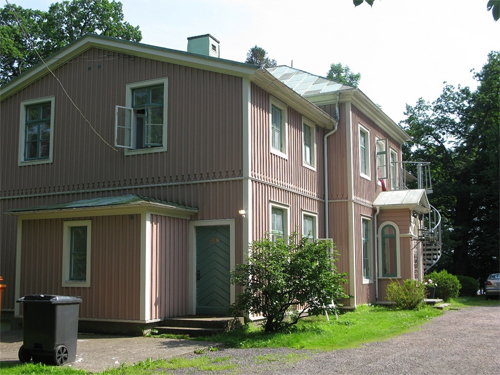 Villa Ellesbo or Ellesbo Herrgård is located at Ellesbovägen on Hisingen near Surte in Göteborg Kommun. 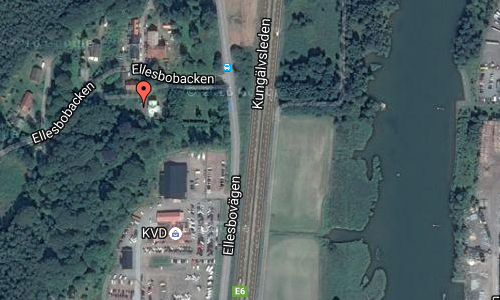 The address is Ellesbobacken 4-6 in Kungälv! 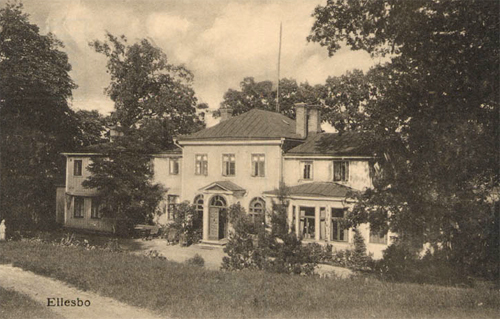 Villa Ellesbo, is a mansion located in the district Rödbo in Göteborg. 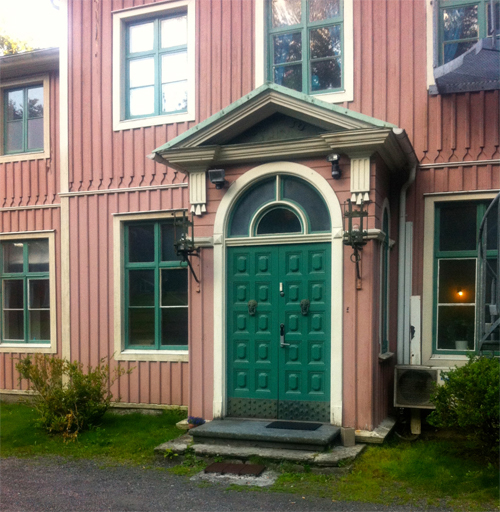 Carl Wilhelm Carlberg, city architect in Gothenburg designed in 1795 the Ellesbo mansion and the surrounding gardens for country accountant Fredrik Magnus Akerman. 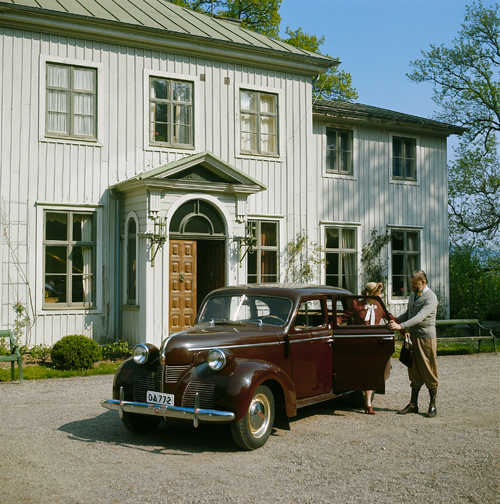 Villa Ellesbo was designed in an Italian inspired style with terraces from the villa down to the road and the Göta River. The garden has many rare trees and many of the impressive age, such as some ancient giant oaks. The exterior is rather repeatedly rebuilding and built. In the interior there are still some painted ceramic stove, which bears traces of the architect’s care in the interior of the villa. The garden decorated with marble sculptures, carp ponds and exotic plants. 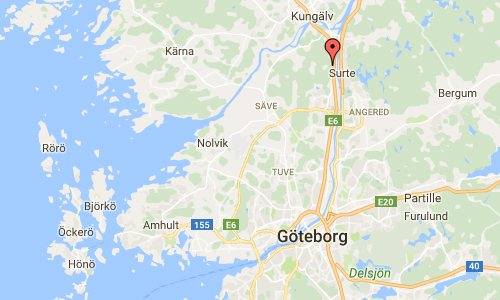 Carl Wilhelm Carlberg, who was born on 9 March 1746 at Örgryte and died on 8 April 1814 in Göteborg, was a Swedish architect, fortifications officer and Gothenburg’s first city architect. 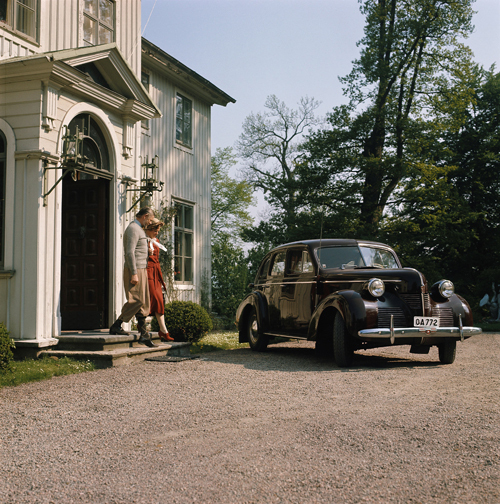 He is known for Gunnebo slott and Chalmerska huset.